UAE, 13 February 2019 – With DEWA’s support and sponsorship, Etihad Energy Services Company (Etihad ESCO), the wholly-owned subsidiary of Dubai Electricity and Water Authority (DEWA), announced the successful completion of the Hatta solar retrofit project, which included installation of 7,756 photovoltaic (PV) solar panels over the roofs of 554 Hatta villas. The project, which forms part of DEWA’s Shams Dubai initiative, aims to generate 3,612,357-kilowatt hour (KWh) of energy annually out of 554 newly retrofitted villas. The average peak power of the solar PV system installed (kWp) on each villa is 4.5KWp, with the total solar PV system installed for all villas amounting to 2,493KWp. With the completion of the project, each villa will now generate 6,520KWh of power every year, which will result in the production of 3,612,357 KWh power in total. In addition, an annual reduction in CO2 emissions by 2,159 tons, will be a remarkable achievement of the project. 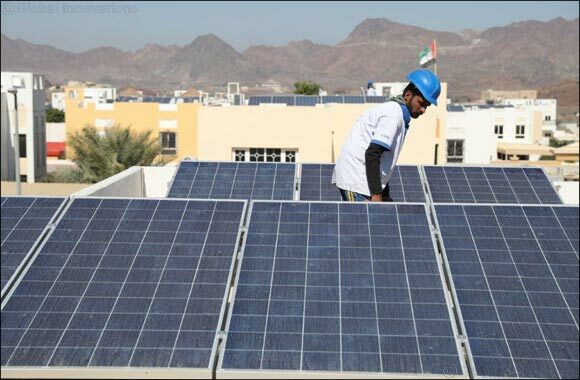 The project is part of the Shams Dubai initiative, which encourages building owners to install solar panels on their rooftops to generate electricity from solar power and link it to DEWA’s grid to allow transfer of surplus generation. The project’s maintenance services will also be provided by Etihad ESCO for a period of one years from completion. “We are confident that the project will lead to an annual reduction in CO2 emissions by 2,159 tons and will further contribute towards achieving 30 per cent reduction in energy demand by 2030, taking us one step closer towards our sustainability goals. Etihad ESCO’s ambitious target to retrofit 30,000 buildings by 2030 and to implement AED 500 million worth of projects, expanding operations beyond building retrofits into industrial retrofits and solar projects, will play a significant role in positioning Dubai at the forefront of sustainability efforts globally,” he concluded.